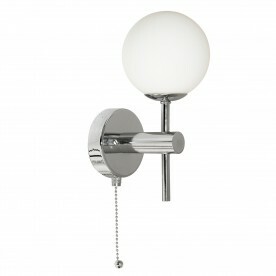 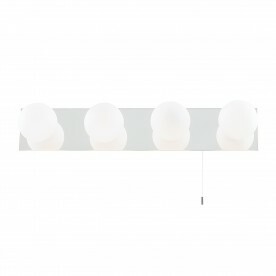 This IP44 Globe Chrome Wall Light with Opal Glass Shades looks modern and stylish in any bathroom or kitchen. The sleek chrome finish fitting features a spherical opal glass shade, which provides an elegant source of light. 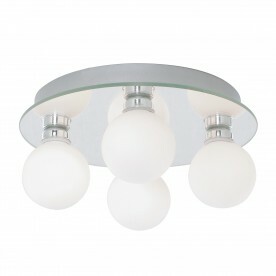 It is also fully splashproof and comes with an attractive pull cord switch.